Some users (mainly Mac owners ) reported crashes and that Lightroom was running slow. Adobe released a patch a couple of days later to fix these issues. The result? A lot of unhappy photographers, a long list of complaints on Adobe’s website and even some Lightroom gurus advising people not to update. Then, on October 16th, Tom Hogarty from Adobe made a public apology on Lightroom Journal (Adobe’s official Lightroom blog) and promised to return to the old Import window in the next dot release (date unknown). 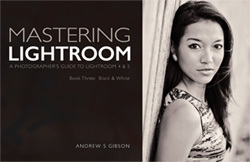 Update: Adobe has released the next Lightroom update, which reverts back to the previous import process. Go to the Creative Cloud installer (you can get there from Help > Updates in Lightroom) and make sure you are updating to Lightroom 6.3 or Lightroom CC 2015.3. So, what changes did Adobe make to the Import process and why is it such a big deal? This is the original Import window. You will be accustomed to this if you have Lightroom 6.1 / CC 2015.1 or earlier. It’s easy to use once you’ve figured it out and not overly complicated. This is what you will see if you have upgraded to Lightroom 6.2 / CC 2015.2 and import your photos for the first time. Lightroom scans your computer to find image sources, such as hard drive folders, memory cards and external hard drives. It’s up to you to click on the source you want to import photos from. It seems that Adobe realised that lots of people wouldn’t want to see this screen as Lightroom gives you the option to skip it. You can do so by going to the General tab in Preferences. Simply untick the Show “Add Photos” screen box under Import Options. The Import window appears after you select the source. It looks like this. Click on the source title (top left) and the cog (top right) to reveal the side panels. Now it looks a bit more like the old Import window, but there are still some major design changes. The Copy as DNG, Copy, Move and Add options are no longer at the top of the Import window. They have been replaced with Copy and Add options under File Handling in the Destinations panel on the right (right). Move is no longer available. A Convert to DNG option has been added to the Advanced panel (right). You’ll also notice that the filename preview generated when you rename a file is no longer there. • The Destination folders preview is no longer there. You can select the folder you want to copy images to, but you can’t see the actual folder structure on your hard drive. • The Don’t Import Suspected Duplicates box has gone. Lightroom will no longer allow you to import photos that have been previously added to the Catalog. • The Eject After Import box isn’t available. • You can’t zoom into the image in Loupe view. Here are my observations about the update. 1. People don’t like sudden changes in design to the websites and software they use. Especially when they have to spend time working out how to use the new interface. 2. 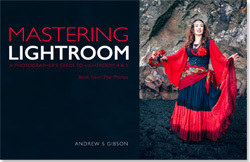 Many photographers authorise the latest Lightroom update without thinking as they assume that Adobe will incrementally improve the program. 3. Adobe didn’t seem to gather much user feedback about the design changes before they were launched. It has promised to change its methods after this update went wrong. 4. 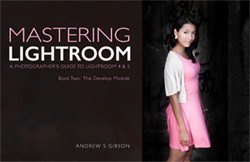 Adobe’s motivation for the change was to simplify the import process for new Lightroom users. Instead, they dumbed it down and annoyed some existing users at the same time. This is a big deal because it is the first time that Adobe has admitted that it made a mistake. Expect to see changes in the way Adobe handles future updates. If you use Lightroom 5 or earlier. Nothing. Your Import window hasn’t changed. If you use Lightroom 6 or Lightroom CC and haven’t upgraded to the latest dot release. You should only upgrade if you really need the support Lightroom has added for new cameras or lenses, would like to use the Dehaze slider as local adjustment (Lightroom CC only) or are affected by one of the bugs that Lightroom fixed in the upgrade (full details on these available here). Otherwise you will spend time getting used to the new Import window, only for Adobe to switch back to the old one in the next dot release. Update: As Adobe has now released Lightroom CC 2015.3 / 6.3 you can upgrade to the latest version and won’t be affected by the changes to the import process in Lightroom 2015.2 / 6.2. If you use Lightroom 6 or Lightroom CC and have upgraded to the latest dot release. You have a choice. You can stay where you are until the next dot upgrade, or roll back to Lightroom 6.1 / CC 2015.1 (instructions on how to rollback are here). If you stay with Lightroom 6.2 / CC 2015.2, make sure you install the latest patch which fixes the problem with crashes. Update: If you are using Lightroom CC 2015.3 / 6.3 there is now no need to rollback. Just update to the latest version to return to the old import process. 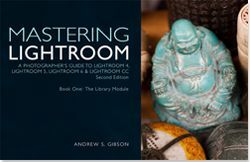 The fact that Adobe has changed its mind and is going to restore the old Import window means that I don’t have to rewrite Mastering Lightroom: Book One – The Library Module. Hooray for that! 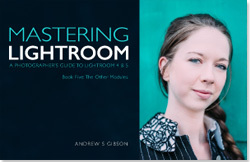 My Mastering Lightroom ebooks show you how to get the most out of Lightroom. 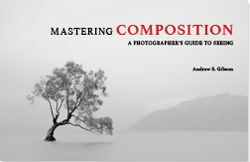 They are written for Lightroom 4, Lightroom 5, Lightroom 6 and Lightroom CC and cover the entire workflow process, including post-processing in the Develop module. Click the link to learn more. Hi Frank, you’ve made the right decision, it is much better not to update. The only reason I did it is so I could write this article! I suspect there are really two things going on here: 1) another step along the road to dumbing-down photography and 2) a continuation of Adobe’s seeming history of one dot release per major LR release being a problem release. I think Adobe misreads its audience if it believes “dumbing down” is the right path. But, if I were in their shoes I just might be doing the same thing motivated by the continued fall in ILC camera sales and the continued rise of smartphones. Still, Lightroom is far too sophisticated tool for snapshooters. I’ve been using LR since 1.0 and have learned to hold back when a new major or new dot release appears, hoping to avoid the sting of a bad release. I guess if you are a CC-subscriber, you get to continue to pay whether the release is good, bad or indifferent. Hi Frank, I believe Adobe’s motivation for the changes was market research conducted with new Lightroom users and the observation that many of them struggled with the import process (see link below). I think where Adobe went wrong is either in not asking current Lightroom users for their opinion (or ignoring the feedback if they did). I guess, much like operating system updates, it is good practice not to update straight away in case there are problems that need fixing. It seems to me that if Adobe really wants to go after mobile users it needs a killer app like Snapseed to get their attention. One that integrates with Lightroom in some way to encourage the more serious mobile phone camera users to upgrade. Dumbing down is the wrong approach. I’m quite happy with my CC subscription – remember the extra you pay (compared to buying a Lightroom 6 license) gets you Photoshop CC as well as Lightroom (not to mention Lightroom web and Lightroom mobile syncing). 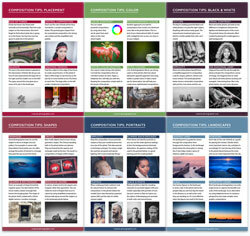 It’s not just about Lightroom. I encountered a strange behavior in the Library module last night – I’m in CC 2015.2.1 (I don’t know if I even *can* revert, as the oldest full install at Adobe’s site is now 6.1 / CC 2015.1). Lightroom shows images for the first month or two of shots in the original locations in which it imported them but shows those folders as missing (as it should). So, outside Lightroom, I undid the move, hoisting the older folders back up to the parent 70D folder, and fired Lightroom up again. Now they worked. Then I asked Lightroom to move them back into the “Before” folder by dragging them in the Library’s folder tree – and was told that if I did that, I wouldn’t be able to undo any older edits. What? Doesn’t Lightroom’s left hand know what its right hand is doing? Shouldn’t its catalog be updated if it does the move itself, enabling everything to work normally? I’m now afraid that if I have Lightroom bulk-rename my files with capture date and camera name prefixes so I can consolidate their locations as you recommend, it may similarly freeze them and not allow reversion of older edits. First off, Lightroom 6.1/CC 2015.1 are the versions with the old import window. You can revert to one of these if you like. Second, is the message you see when you try to move folders this one? If so, all Lightroom is telling you is that you can’t undo this move by pressing Ctrl-Z. It isn’t referring to any edits you have made in the Develop module. You won’t have any problems if you bulk rename files. I have done it myself and it doesn’t affect the photos in any way at all. I’d love to get back to 2015.1.1, but when I tried to follow the rollback instructions you pointed to (and I found the same instructions on Adobe’s site) there was one minor problem: Adobe has since taken down the installer for 2015.0 from the page its rollback instructions points to! The oldest full installer there is for 2015.1.0. What Adobe’s left up there for 2015.0 is only a patch that’s less than 10% the size of the installers. Then I had the Cloud dashboard uninstall .2 and I ran the 2015.0 download. “Not for you.” Same result with .1.0 and .1.1. Finally gave up and had the Cloud dashboard reinstall .2. Is there somewhere else to get the full installer for CC 2015.0? I did discover that I could copy a folder in Explorer and use Lightroom’s right-click “Update Folder Location” to point to the new folder, which equipped the new location with the editing history. I went back to your e-book and saw that your discussion of that kind of renaming was in the “image import” section. How do I do that after the files have been imported and worked on? At present, all files in a folder are from a single camera. My hope is to consolidate the images taken with different cameras on the same shoot in one folder, with those prefixes to tell them apart. I posted my problem of not being able to get the 6.0 / 2015.0 installer at the page you had linked to by Victoria Bampton, the Lightroom Queen. She responded by adding an overlay that showed that the 6.0 / 2015.0 installer was the installer at the top of the page that didn’t have a version number. With that help I was able to get back to 2015.1.1. Now my remaining question is how to do a bulk rename with the template method you narrate for during initial import. Is it possible afterwards? If not, I’ll probably just use a collection to group all the shots from a single shoot and just rely on the tags on each file to tell me what camera they’re from. Also, how does one create a virtual copy of a file in Lightroom? I bought your whole e-book – which chapter is that in? Glad to hear you managed to figure it out, Victoria is very helpful. Bulk renaming is quite easy. Go to Grid View and select the photos you’d like to rename. Go to Library > Rename Photos (or press F2). 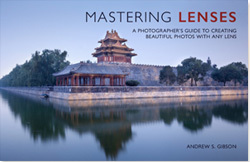 A renaming dialog appears that you can use to rename the photos (see page 50 of Mastering Lightroom: Book One). To make a Virtual Copy select the photo and press Ctrl (PC) or Cmd (Mac) and the apostrophe key. Or go to Photo > Create Virtual Copy. 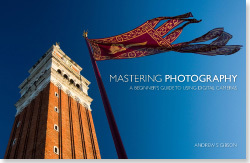 This is covered on page 196 of Mastering Lightroom: Book Two. Many thanks for these updates. I am currently on LR5 (.7 I think) and was planning to upgrade to LR6. Then I read about the import problems with 6.2 so have been holding off. For the avoidance of any confusion on my part, if I now upgrade to LR6 (and go straight to 6.3) do I avoid ALL the import issues and get exactly the same import process as I have previously enjoyed with LR5? Additionally (and to the extent that you are aware) is 6.3 stable (I’m on Windows 7). Many thanks for your insights on this. Hi Robert, if you update to Lightroom 6 you will get 6.3, which has the old import process. As far as I know it is stable – the instability reported in 6.2 related to the new import process (which has gone) and mainly affected Macs. 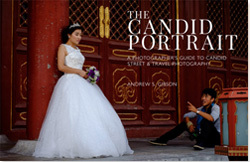 Many thanks Andrew – your help much appreciated.